• Electric shock resistance (EH or ESR). • Flexible & lightweight PU midsole with rubber bottom outsole. - 360° traction mud/water auto-clean treads. - Anti-fatigue + ez-move heel shape. 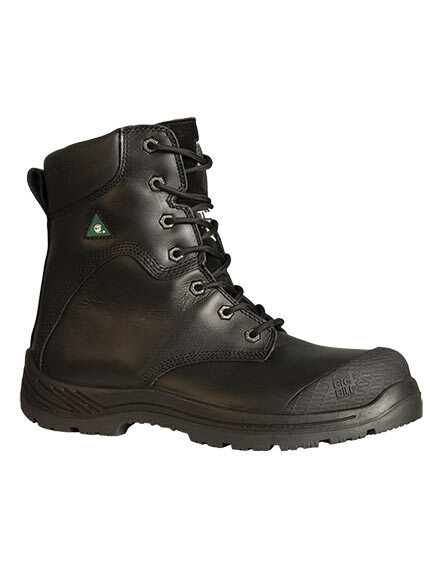 - Non marking and slip resistant rubber. - Molded pu midsole for extra shock absorbing. • 3M Thinsulate® 200 gram insulation. • Exodry® lining for moisture wicking and quick dry. • Quadruple heavy duty stitching in stress area. • Ladder support and gripper. debris and water to entering boot.